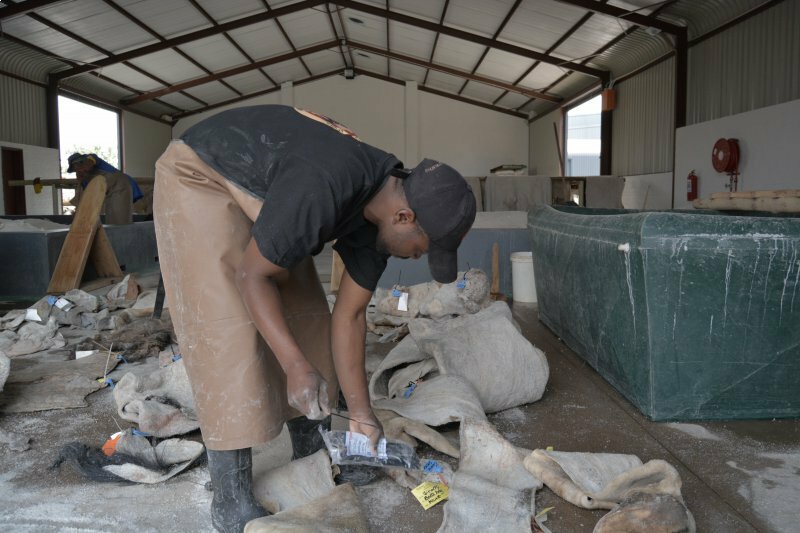 On arrival at our processing facility, all trophies are being re-checked according to the Collection Register and PH Register. 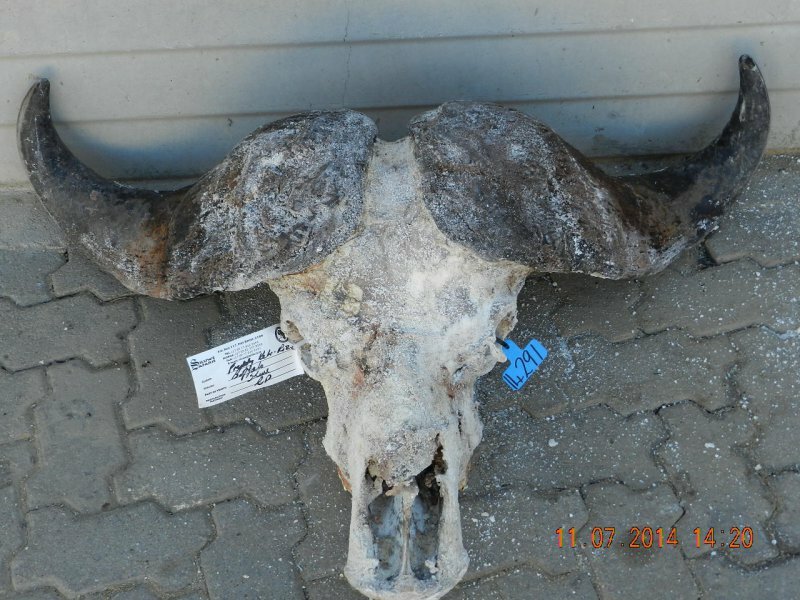 The trophies are then simultaneously re-tagged with a unbreakable “cow” ear tag on which the client’s number is written together with the trophy part description. The original tags are not removed. Pictures are taken of each trophy to serve as proof of the size of and condition in which we have received the trophy. These pictures are then saved on a special client file on our database. 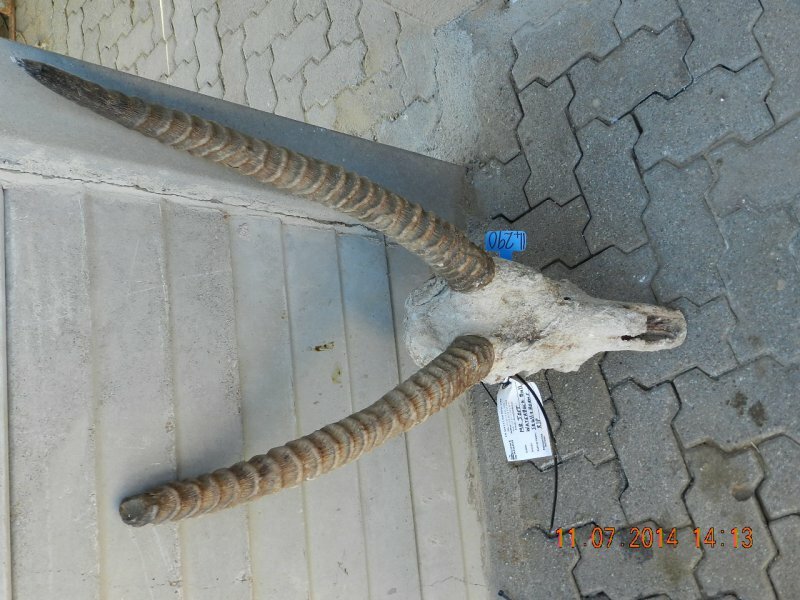 At first all skulls, horns, bones and claws are subjected to a natural sun-drying process after which they are boiled for a certain period, depending on the type of animal and then cleaned. According to the time schedule, they are then subjected to a Solution to ensure all possible bacteria are killed. After this action they get sun-dried. During the next step they are bleached with another Solution. After the bleaching they are left to get sun-dried again. Although the basis of our processes / solutions are based on International Regulations, the contents of these Solutions were put together over years of experience. I think it is understandable that these mixtures are not put on the web for everybody to see! All skins are rehydrated upon receipt / delivery. 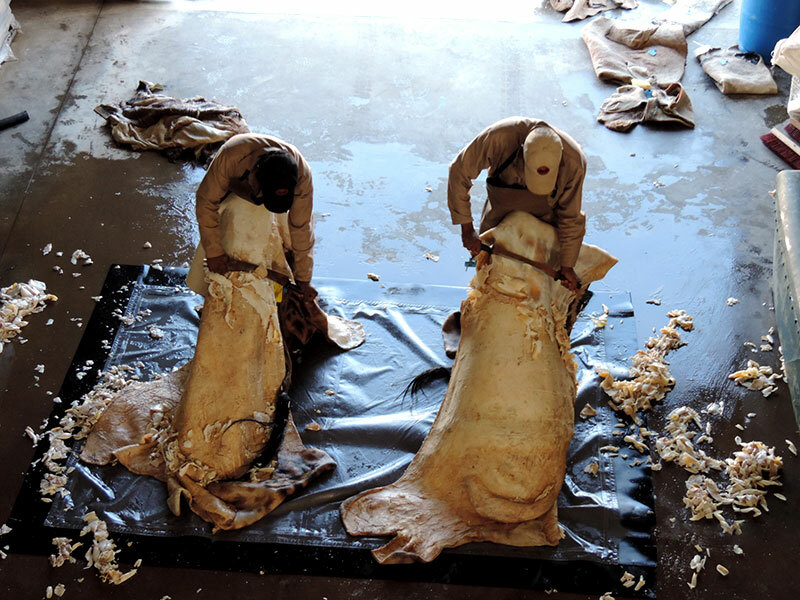 Once re-hydrated, all skins of thick-skinned species are shaved to ensure better penetration of the chemicals. They are then dipped in a pickled bath for a minimum period of 48 hours. 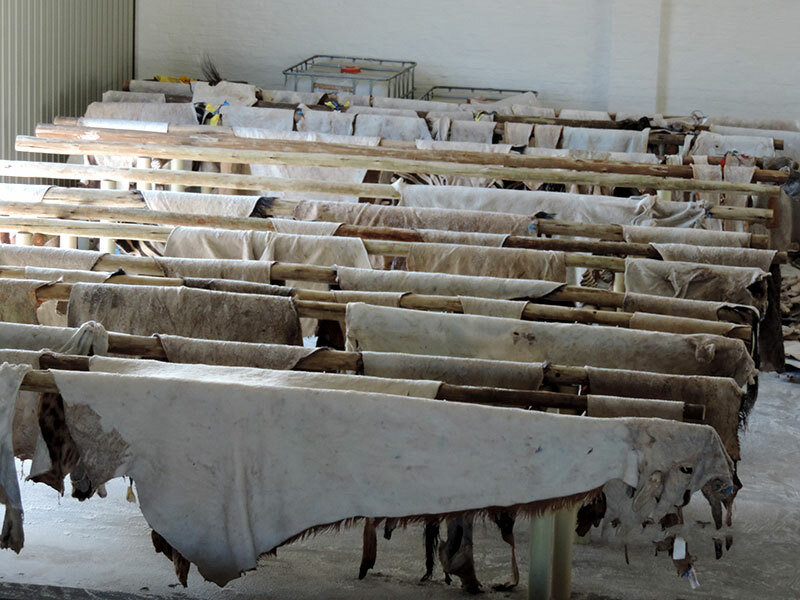 After this process all skins are subjected to a Salt Action for a continuous period of not less than 30 days. Again, the contents of the pickled bath was put together over years of experience. 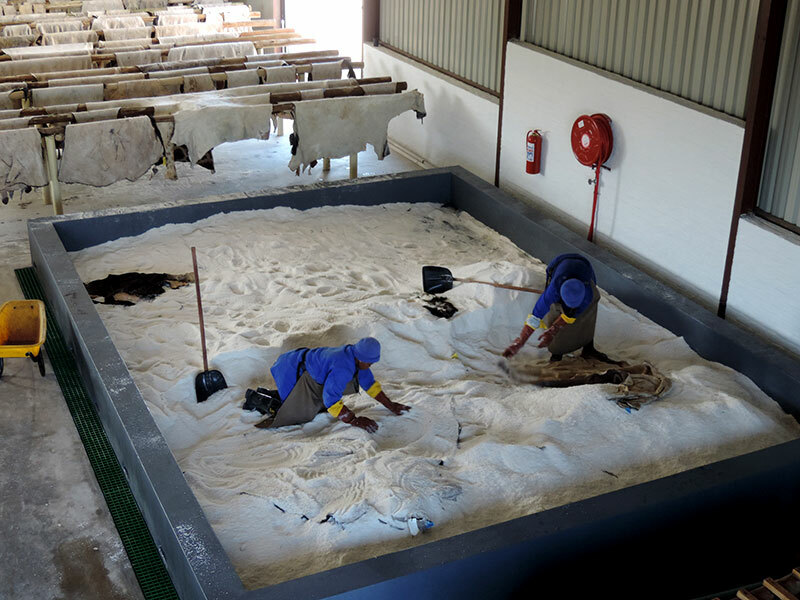 Both the abovementioned processes / solutions are approved of by the South African Veterinary Services (Department of Agriculture). We handle the entire permitting process in-house. We make sure that an application is complete, before we send it off to the relevant issuing authority. If all required documentation is not handed in / collected / received simultaneously, it will delay the issuing of permits substantially. The client is regularly kept up do date regarding the progress of his / her trophies via e-mail. Should the hunter have worked / booked through an agent, the agent is also copied in on all correspondence. In this way we ascertain that all parties concerned are constantly informed.